Quick Byte: Have You Met TED? Each May, Americans recognize Mental Health Month with events and activities in communities across the country. This year, the Library, through the Consumer Health Information Service (CHIS), will be honoring and supporting U.S. military personnel by recognizing Post Traumatic Stress Disorder (PTSD). According to the U.S. Department of Veterans Affairs National Center for PTSD, PTSD can occur after a person has been through a traumatic event. A traumatic event is something terrible and scary that they see, hear about, or that happens to them, like combat exposure, child sexual or physical abuse, terrorist attack, sexual or physical assault, serious accidents like a car wreck, or natural disasters like a fire, tornado, hurricane, flood or earthquake. During a traumatic event, a person thinks that their life or others' lives are in danger. They may feel afraid or out-of-control over what is happening around them. Most people have some stress-related reactions after a traumatic event, but not everyone gets PTSD. Almost all service members will have reactions after returning from a war zone. Most service members will successfully readjust. The reality is that injuries, including psychological injuries, affect the strong and the brave just like everyone else. Some of the most successful officers and enlisted personnel have experienced these problems. Please join us and learn about PTSD during the month of May as we host educational programming presented by professionals from the West Palm Beach Veterans Administration Medical Center. Library branch locations will also have other programs and book displays for May is Mental Health Month! that will include a bibliography of mental health titles in our collection, along with literature from the Boynton Beach Mental Health Initiative (including NAMI and MHA). 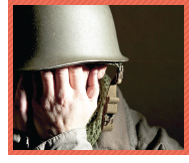 Visit your local branch to learn more about PTSD and other mental health issues. The Library’s CHIS has more health information to read and discuss with your doctor. If you would like to learn more about health and medical resources or have other health-related questions, please contact a specially credentialed consumer health librarian at 233-2736. You can also visit CHIS at the Main Library or on the web. This month, we celebrate Haitian Heritage Month to honor Palm Beach County’s largest immigrant group, which has shown huge growth in the past decade. 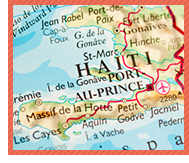 Since 2001, Palm Beach County has held celebrations for Haitian Heritage Month in May, a month which incorporates the important holiday of Haitian Flag Day on May 18. Haitian Heritage Movie Special: "Aristide and the Endless Revolution"
We’ve all had one at some point in our lives. I’m talking about mothers, of course, and while we should honor our mothers every day, the second Sunday of May is when we give them official recognition by celebrating Mother's Day. A few facts about Mother's Day: It was first celebrated in 1908 when, in West Virginia, Anna Jarvis held a memorial for her mother. With the help of Phildadelphia merchant John Wanamaker, she then began a campaign to make Mother's Day a recognized holiday throughout the country. In 1914, it became an official holiday and is now celebrated all over the world. In the tradition of Mother's Day this year, take time to remember and honor your mother, grandmother, and the other important women in your life. 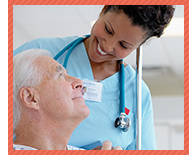 You have access to an invaluable resource for nursing and allied health students - CINAHL®with Full Text . The CINAHL® database is the world’s largest and most in-depth nursing and allied health research database. In CINAHL® (which stands for Cumulative Index to Allied Health Literature) you will find full text for more than 610 nursing and allied health journals and indexing for an additional 3,000 journals. It also has health care books, nursing dissertations, selected conference proceedings, and much, much more. All you need is a library card to use CINAHL® from home or from school. Just visit our Online Research page. Don’t have a library card? Sign up now for a Temporary Research Access Code (TRAC) to access most of the library’s electronic resources. Learn more about TRAC. Need help using CINAHL®? Or finding other health information for an assignment? Contact the Library’s Consumer Health Information Service (CHIS) by visiting the Main Library, emailing a CHIS Librarian through our website, or by phone (561) 233-2736. The Library has over 5,000 health and medical books, magazines, electronic databases, a health information website and specialized health reference staff to help you. If you’re not familiar with TED, it’s a nonprofit organization devoted to "spreading ideas, usually in the form of short, powerful talks." The organization hosts TED Talks, and through the TED app, you have the option of watching and listening to inspiring speakers from TED conferences worldwide. The talks focus on technology, entertainment, design, science, medicine and social issues. Each talk is presented by experts in their field. Once the app is downloaded, users can swipe through available content by popularity and date, or search by theme, rating, or tags. There is plenty of content to keep you busy for many months, and more is being added each week. The TED app offers the option of viewing or listening to content through Wi-Fi or 3G, or you can download to enjoy offline. Just tap on the My Talks tab to access your downloaded content. With this app, you’ll have access to more than 1,700 video and audio talks in 22 different languages; if you discover something that you’re interested in, but it’s in a different language, there is even an option to enable subtitles. So if you’d like to stay informed and be inspired, the TED app is worth checking out. It’s available for free for iOS, Amazon, and Android devices. No materials will be due on this day. Spend your Memorial Day reading about the men and women that have served this county.